News - - - PhD Program in Health Services Research - ( Doctoral training in Public Health ) - at the University of Washington. People living in rural areas are often at a disadvantage for receiving mental health services, because of longer distances from clinics, a lack of public transportation, and a scarcity of available services. 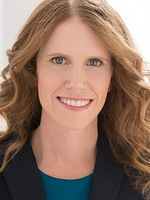 Given the growing role of telepsychiatry in mental health care, and the barriers to access in rural areas, Health Services PhD alumna (‘08) Dr. M. Courtney Hughes wanted to examine whether hybrid care (offering telepsychiatry plus in-person care) might address the access gap between rural and urban populations. She had the opportunity to explore this question while working on a telepsychiatry and rural health project as a Senior Researcher at Relias Institute. Courtney and her team discovered that in fact, offering telepsychiatry to rural populations, particularly after an emergency department visit or inpatient admission, may indeed help increase mental health care access to this group. The team has published their findings in the January 2019 issue of Journal of Rural Mental Health. Courtney currently works as an Instructor for the graduate and undergraduate programs in the School of Health Studies at Northern Illinois University. She plans to continue her research on rural health care access disparities, by examining patient-specific characteristics, such as age and diagnosis, to better determine which patients benefit most from telepsychiatry.